encoder strip, high precision linear motor. ■ Bold structure and rubber media rollers enable more stable media feeding. ■ Advanced nozzle compensation function avoid problem of printing gap or banding. 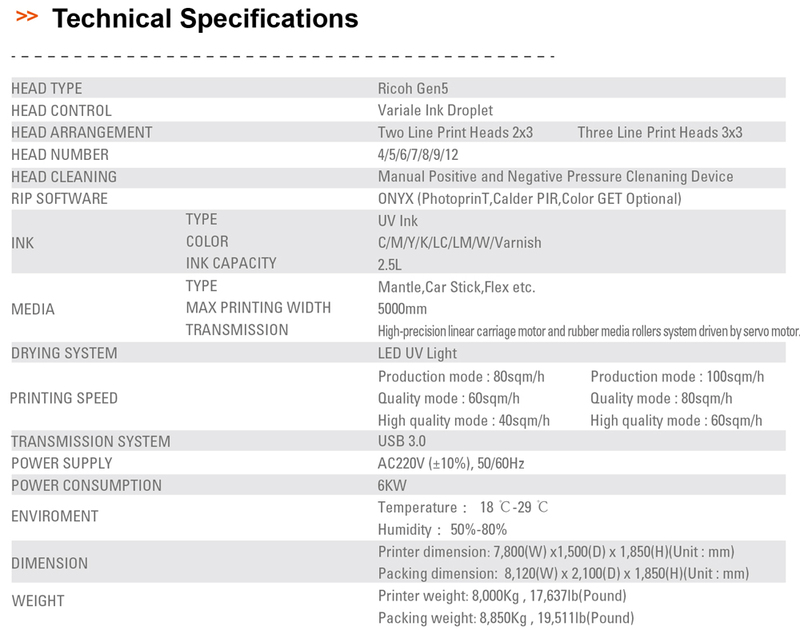 ■ Default six color printing mode brings wider color gamut and smoother output. ■ Water-cooling LED technology extends longer life and lower power consumption. ■ Warning light during printing makes sure human safety. 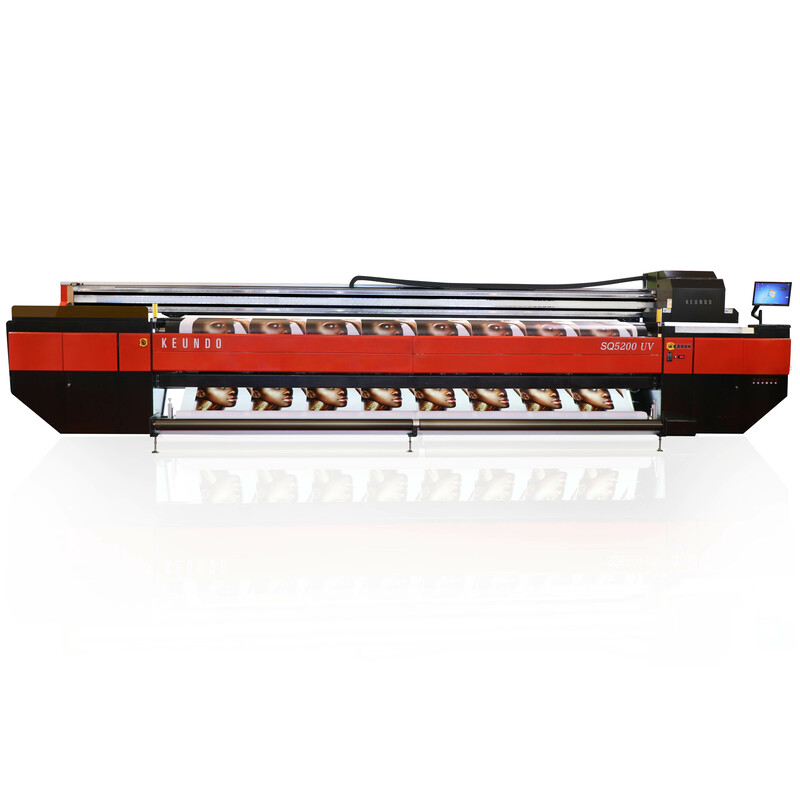 ■ Memory printing function ensures continuous printing. 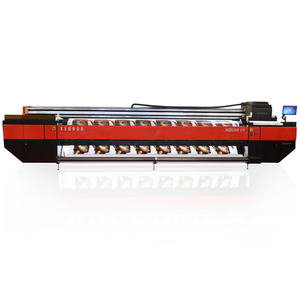 Heavy duty body, rubber media roller makes smoother media feeding, brings stable printing in high speed mode. 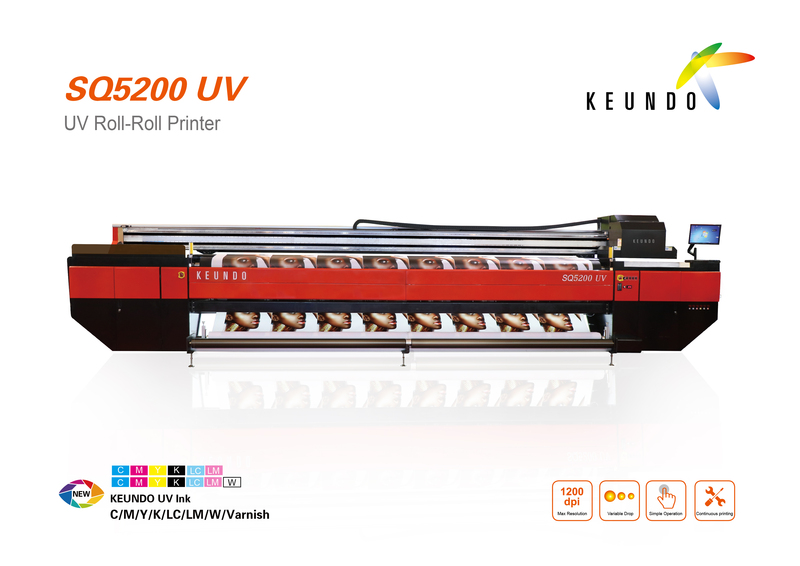 Wider printing size up to 5 meters is suitable for more solutions. Warning light system makes sure human safety. Electromagnetic levitation printing technology, high stability magnetic encoder strip, high precision linear motor, mute THK guide rail ensures stable and high quality printing performance. Leading servo motor module adopts Panasonic servo motor, bringing high stability and speed.Advanced RIP software ensures amazing output.Emergency stop button makes sure safety and stability for emergency status.